Of course I will also be facing a bit of a dilemma: I already own a very complete Canon EOS-7D system with many lenses, flashes and accessories, a very complete Panasonic Micro-Four-Thirds camera system, with three bodies (GH2, GX1 and soon-to-arrive IR-converted GF2) as well as many excellent lenses for it... so... is there room in my already formidable arsenal for yet another system? There is no DSLR ground-glass focusing screen to get in the way of seeing your composition since you are looking through bright optics that take away nothing from the scene you are photographing. You are not restricted to an EVF with limited brightness that becomes hard to see in intense outdoor light. Most importantly, you can actually see outside of your camera's current field-of-view and I find that is a definite advantage, especially for street photography, since you are given a moment of warning if something interesting is about to enter the camera's framing. That extra moment might be the difference between getting the perfect shot where, for example, the interesting person who just walked into the scene is framed precisely where you want and at the prefect point in their stride, or a less than perfect shot where you wish had had just a fraction of a second more warning to get it just right. And as "rangefinders" go, what a wonderful thing Fujfilm's Hybrid Viewfinder is. Not only do you get accurate framing lines that correct for parallax, you essentially get a full "heads-up" LCD overlay, showing full exposure information and, if you want, even a grid overlay to help with composition, a live exposure histogram, an electronic level and more. Plus, the one disadvantage a rangefinder style viewfinder has, its parallax error at closer distances, is completely and instantly negated by having the ability to switch to a full electronic viewfinder, showing a perfectly accurate 100% view of what the lens is seeing, at the mere flick of a small lever. The X100 has by far the best rangefinder-style viewfinder that I have ever experienced, and with the X-Pro1 it promises to get even better. Okay, so enough gushing about how I like rangefinders and especially Fujifilm's viewfinder. Back to my question... will something have to go if I buy into Fujifilm's new system? Well maybe. I have been doing a lot of thinking, especially whether or not I truly need a DSLR system anymore. There are still advantages for sure, but are they enough? Or might 2012 be the year that I get out of a DSLR system completely? If I was shooting professional architecture, shooting sports or other fast action for example, I'd say no... but then, I don't. Still, it's a little too early to tell yet, although I can say that since I got my small, light Panasonic kit and traveled to Germany last summer with it (and with my X100 too of course), leaving my Canon system behind, I am feeling less and less inclined to drag around my "big" camera. If you choose selectively, there are some truly superb Panasonic and Olympus lenses for Micro-4/3 and you can get excellent image quality, in most cases equal to what I was getting from the Canon system, in some ways even better. The only thing lacking, and it is quite apparent when shooting against the X100 for example, is the slightly lower dynamic range and slightly noisier shadow detail one has with even the best of those cameras, like the GH2 and GX1. The colours, the incredibly smooth tonality and the amazing dynamic range I get with my X100 really are a step up, but... I can't change the lens. 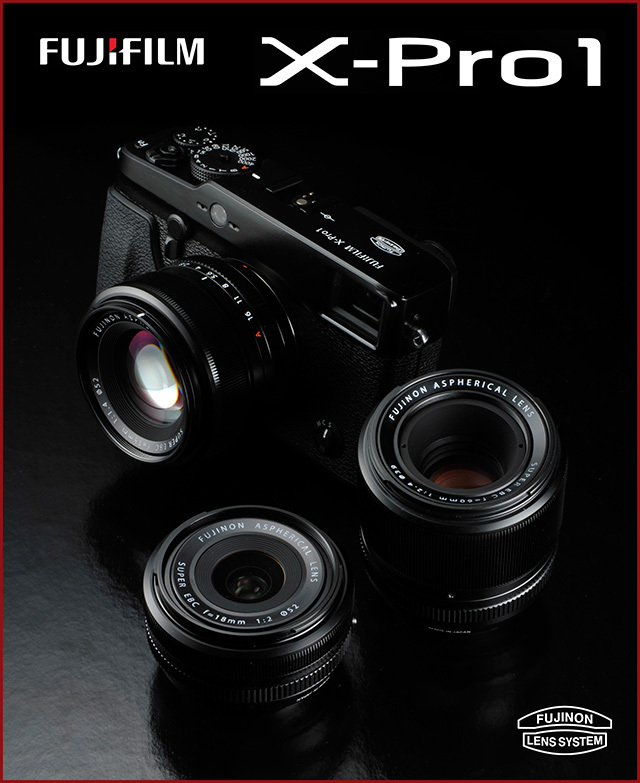 With the new X-Pro1, that will no longer be a limitation! Will it be the perfect camera for me? Watch the Beau Photo Digital Blog for a "first-thoughts" article in the next couple of days, where I will discuss the many ways in which the X-Pro1 will improve on the X100... and also mention a few where it doesn't. I hope you enjoyed this lengthy, rambling blog entry!